Join the Great Sun Nation in our hunt for shark teeth on the Peace River in Arcadia, FL. This is a primitive campground right on the banks of the Peace River. Bring your ATV and dirt bikes to this campout. 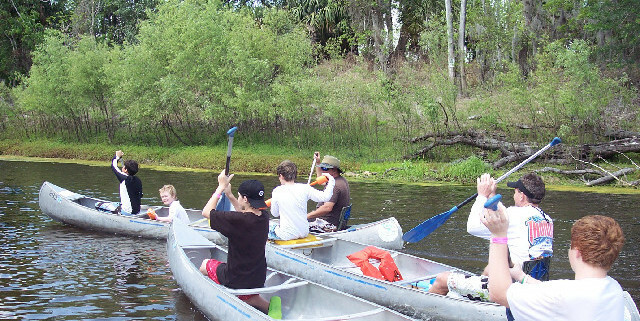 The big event on Saturday is the canoe trip down the Peace River. There are many fossilized shark teeth to be found in the river. Saturday night is capped of with the Broken Arrow ceremony. This is one campout not to be missed.